How come in the world were we all acknowledge everyone is different and has the right to live how they please; people always seem to attack each other’s eating habits. Whether it is the vegans attacking the meat eaters, or the organic going after the GM scientist; we are so passionate about our eating morals to be the “gold standard” for everyone. I admit these are the big players in the world of food but on an everyday level; who has had the “healthy/ non healthy” belittling by family, friends or even strangers. Remember at Christmas were your auntie commented on how you should not really be getting that slice of extra turkey or having such a “generous” serving of pudding. Even at work your co-worker comments on how unhealthy you lunch is because “shock” it contains something fried. Combined with the media messages that you are currently eating unhealthy unless you have (insert food or food diet here) and you have sickening social practice. Also with you readers who are in the northern hemisphere, have you gotten sick of those weight loss ads warning you that beach weather is coming? While these messages have good intentions behind them, they are not always helpful. There is no “gold standard” when it comes to eating. As simple as that. Being an omnivore is no better than being a vegan; nor is choosing to eat only some food groups worse than eating everything. I admit I do give a bit of flack to the low/no carbers about there and I am sorry. However if I get another comment on how many carbs are in my lunch, I might unleash hell on that person. There is only so much a girl can take before it is just plain unfair. Whether you choose to eat all meat, all veggies, processed/unprocessed. Eat whether makes you happy. Do not be ashamed for having a second serve of pie. Do not be embarrassed for having to ask to host to make a veggie option for you. Tell them to shove that opinion were the sun don’t shine. All right that is a bit much but you get the idea. Of course this rant comes with a recipe. 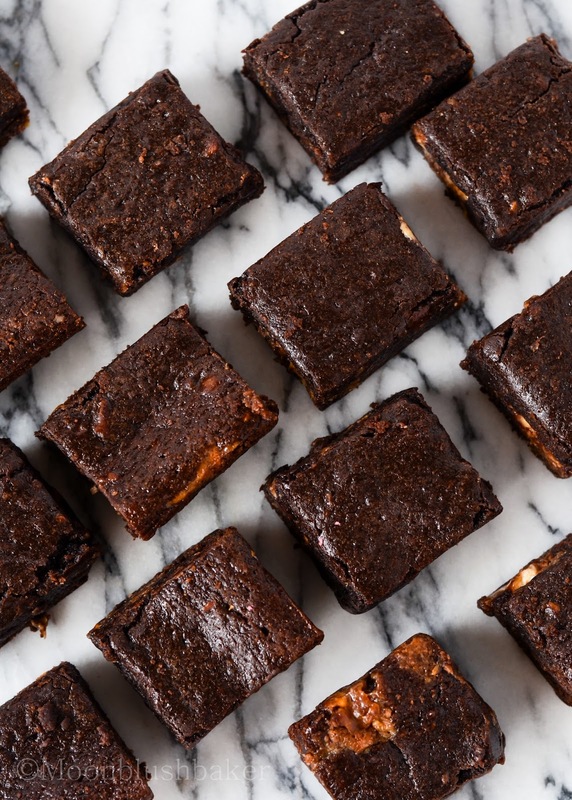 On the day I made these Brownies, the lady at the counter told me I should be getting skim with for my coffee. BUT excuse me! Who is paying for this drink her or me? Prff.,. rudeness and Not even a sorry. Anyway back to the brownies. Come on you can tell that these are fudgy; densely dark result of butter, chocolate and black cocoa. Yes black cocoa is bit of luxury, so if cannot get it use the same amount of dutched cocoa Brownies always go down well at function and these are the one I make that have people coming back for more. These are slightly different to normal brownies as in place of salt I use low sodium soy sauce, Yes soy sauce, that fermented salty bean adds that depth like the umami flavour everyone talks about. As complicated and strange as it sounds – its not trust me. Simply use one bowl, whisk a few times then bake. You want to change the add ins? Go ahead, make it to suit your taste buds. 140g almond nougatine, chopped roughly. In a large saucepan melt together butter and chocolate stirring occasionally until combined. Stir in sugars, extract and soy sauce. Cool for 5 minutes. Whisk in eggs one at a time. Stir in flour and black cocoa until combined. Fold in almond nougatine and chocolate pieces until fully combined. Cool in pan and fridge overnight. Cut into 16 squares and store in an airtight box. These brownies look gorgeous! I love the idea of using soy sauce for salty/ umami flavours. No shame in these! Thank you sarah. Umami needs to be acknowledged more. It would make take out and commercial foods so much better. So happy that I stumbled upon your blog! 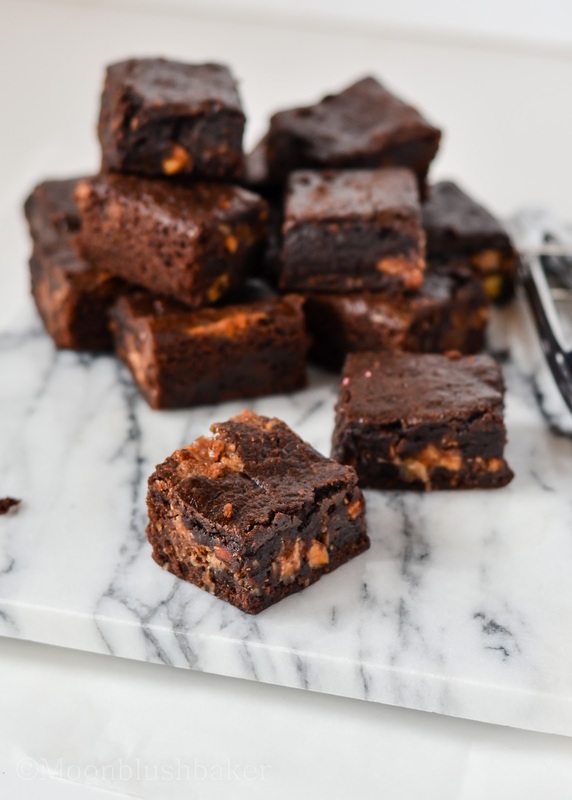 Your photos are wonderful and really can’t wait to test this recipe out, soy sauce in chocolate brownies, you could be onto something new! So decadent – they look delicious!!! Thank you; trust me they are addictive! 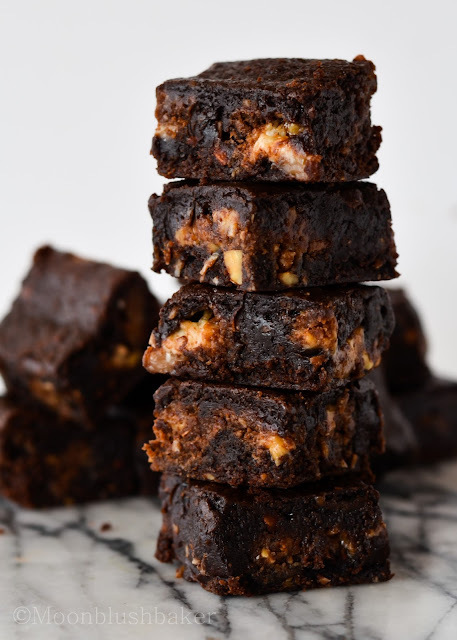 These are the most luscious brownies I’ve seen! Oh, I’m so over the food shaming. And fat shaming. Don’t even get me started on that. 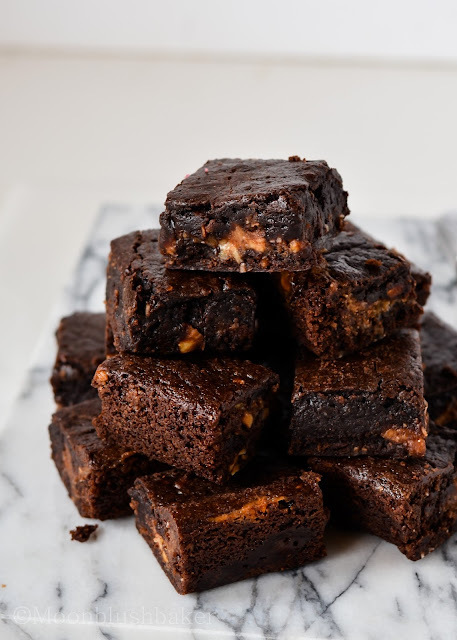 These brownies? To die for. 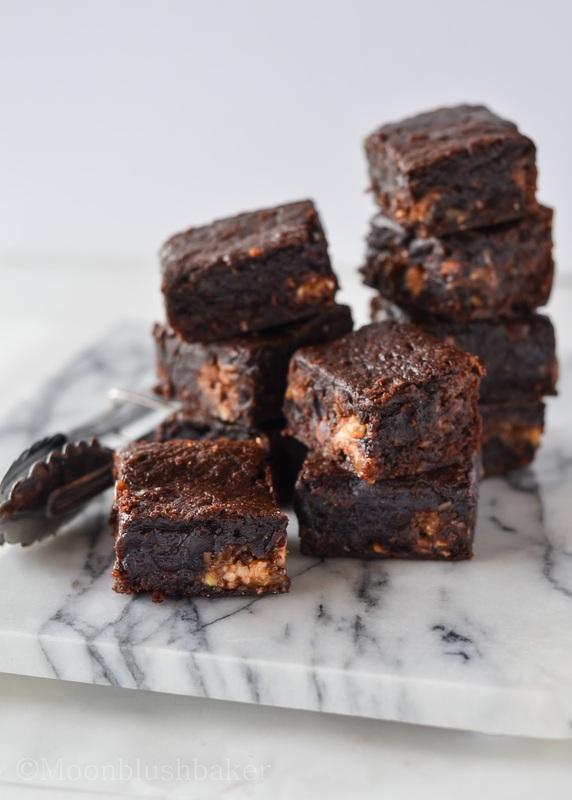 Fight for you rights with brownies! They look incredible! 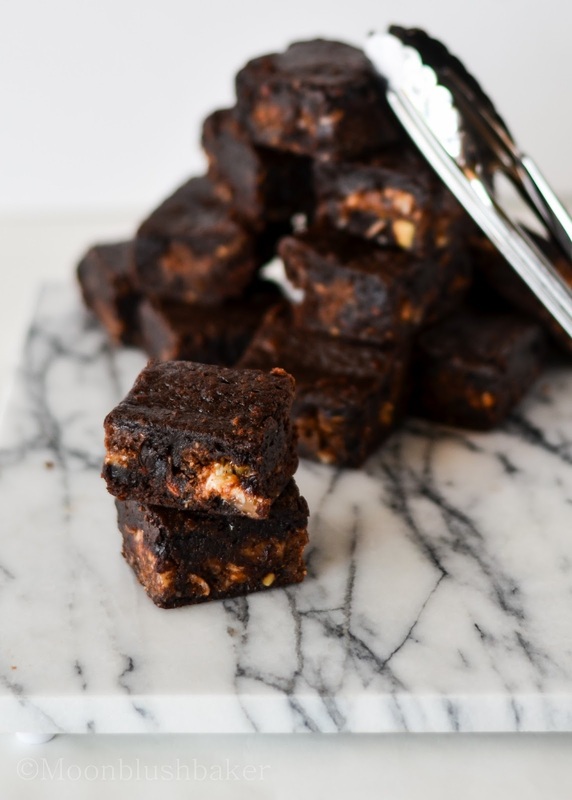 My post tomorrow is dark fudgy brownies and I love that marble slab you used. I have one almost like that! 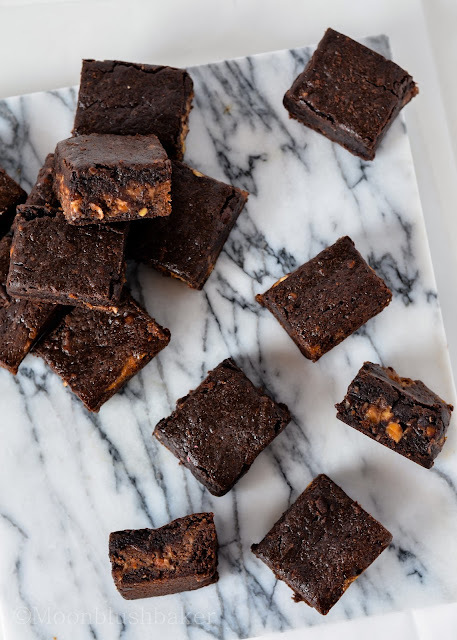 Your brownies look…crazy good! 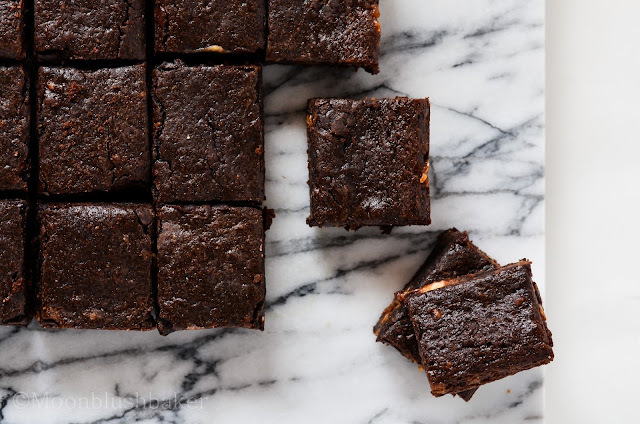 And this is the only recipe Ive ever seen for brownies that use soy sauce! Thanks Averie! I can not wait to check it out, I love your recipes. 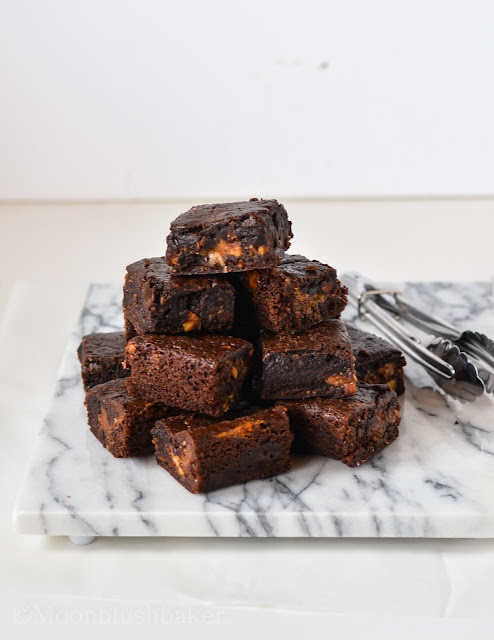 beautifully styled photos and brownies? the ultimate combo!